Arrive in Inverness principal town to the Highlands and the ideal location to start our holiday. A transfer will be arranged to take you to the first night's accommodation. After an early breakfast our cycling begins. From Inverness, we depart over Kessock Bridge crossing the Beauly Firth to follow quiet roads across the Black Isle peninsula to Dingwall. From here we follow the north side of the Cromarty of Firth for 9 miles before turning inland. We pass the 11th Century Contullich Castle a few miles north-west of the town of Alness continuing on minor roads and cycle track. We are in the old crofting county of Sutherland, in beautiful natural surroundings. Reaching the Dornoch Firth we follow the coast again to to Ardgay and continue on the west side of the Kyle of Sutherland to reach Invershin. 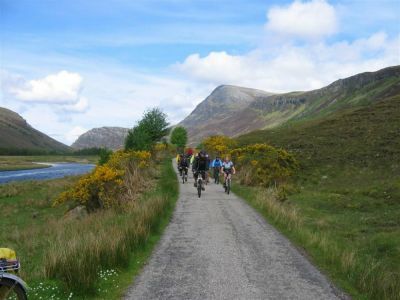 We ride along back roads through lovely wooded scenery crossing the river Oykel which flows down the slopes of Ben More and through ice-gouged valley. 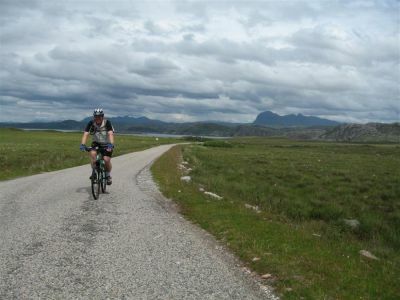 This is a particularly rugged area of the Western Highlands and includes several nature reserves that foster a responsible connection between visitors, communities and natural environments. 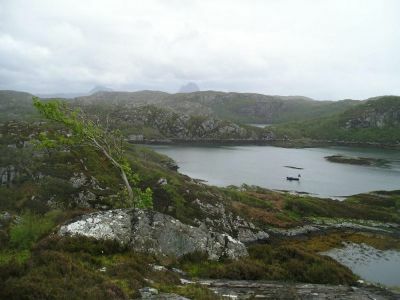 Traditional crofting and fishing communities live in villages along the shores of the sea lochs. 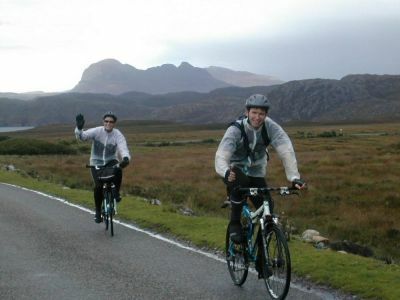 We start our day cycling through Inverpolly National Nature Reserve. At nearly 11,000 hectares it is the second largest reserve in Britain after the Cairngorms. It comprises acres of bog, moorland and woodland but is dominated by the magnificently isolated red Torridonian Sandstone peaks of Cul Mor (849m), Cul Beag (769m) and Stac Polly (613m). 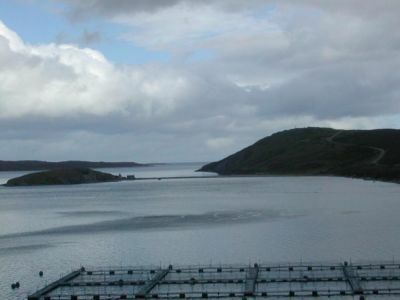 A single track road takes us to Lochinver, the largest community in West Sutherland and a bustling fishing port where Scottish & European Boats unload their catch ready for the evening market. Located in a secluded bay, the port of Lochinver is the largest settlement on the west coast of Scotland north of Ullapool. The town offers striking views across to Suilven one of the most distinctive mountains in Scotland. 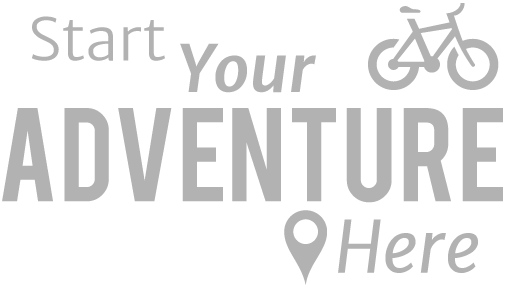 Experienced climbers can even attempt to scale the 2,389ft sandstone peak. Other tourist attractions include the Highland Stoneware Pottery where you can observe potters at work as well as buy their ceramics. Half a mile away is Achmelvich Beach a popular spot for water skiers, windsurfers and kayakers, and fishermen. You can also follow a path from the beach which leads to a ruined old mill and hidden cove. There is also the option to hunt for a hidden hermit's 'castle'. 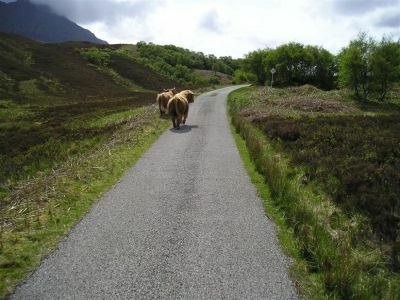 Inland, near Elphin is the Highland and Rare Breeds Farm. 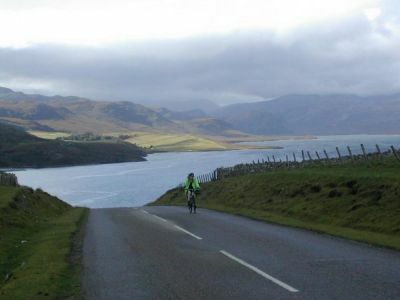 Suject to weather conditions, you can take a two hour cruise along the Assynt coastline or a fishing trip. 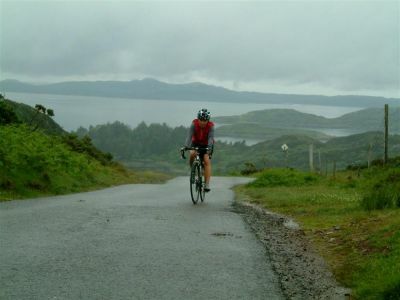 From Lochinver we cycle arguably the most scenic route in Scotland, around the coast to Kylesku Bridge. The road twists and turns, undulating along the southern shore of Eddrachillis Bay, through the villages of Stoer and Drumbeg. Resident wild cats, wild deer, eagles and other birdlife have been enjoying this spectacular environment for centuries. We end our day in Scourie. We are now deep in Sutherland one of the last remaining wildernesses in Europe. We pass the white sands of Scourie bay as we cycle through a lunar landscape of lochs and mountains heading for Cape Wrath. A rocky headland where cliffs rise 360 feet from the sea, Cape Wrath is the most north-westerly point on the Scottish coast. There is no public road access to the Cape. A ferry crosses the Kyle of Durness to connect with a summer mini-bus service. Subject to the tide we may be able to cross to the Cape. Situated in the remotest part of the UK overlooking the Kyle of Durness, from here you will marvel at the sheer magnificence of the scenery, heather clad moorland alive with wildlife, picturesque lochs and rivers teeming with fish, and the rugged grandeur of mountains rising up from glens gouged during the last ice-age. We continue on to the pictuesque costal village Durness where we stay tonight. Nearby are Smoo Cave, with a history dating all the way back to the 8th Century, and beautiful Balnakiel beach. Situated in the remotest part of the UK overlooking the Kyle of Durness, from here you will marvel at the sheer magnificence of the scenery, heather clad moorland alive with wildlife, picturesque lochs and rivers teeming with fish, and the rugged grandeur of mountains rising up from glens gouged during the last ice-age. "A truly memorable week - everyone got on very well together. The scenery was stunning, I can't wait to get my photos back...."